Pregnancy resource centers offer women in crisis pregnancies assistance of many kinds, and they also offer access to information. Those resources can mean the difference between life and death. A clear example of this comes from Her Choice Birmingham Women’s Center. In addition to pregnancy tests, counseling, and referrals for social services and health care, the center has for years used AbortionProcedures.com as a tool to discuss clients’ options. After viewing the abortion videos on AbortionProcedures.com, many women have chosen not to end their babies’ lives in abortion. 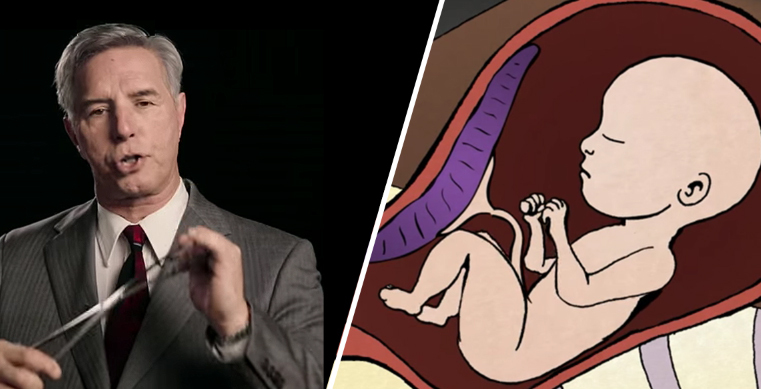 Live Action produced the abortion procedures videos several years ago, pairing accurate medical animation with narration by Dr. Anthony Levatino, a former abortionist. The videos illustrate the process of the most common abortion methods in the first and second trimester. Joy Pinto, the executive director of Her Choice Birmingham, told Live Action News she was looking for a way to share medically accurate information with clients when she was referred to the website. After Pinto watched the videos, she knew they would have an impact. Since then, the center has shown the videos to every abortion-minded woman who comes to them for counseling. Over the years, they have seen post-abortive women, teen moms, and women being pressured to abort choose life after watching the videos. Recently, a client visited Her Choice Birmingham certain that she would undergo an abortion. She told counselors, “Nothing is going to change my mind, because my mind’s made up, and when I make up my mind that is it.” Seeing the videos about the abortion pill and D&C abortion shocked her. The client was stunned to see what abortion actually is. Following the videos, she had an ultrasound that revealed she was 11 weeks pregnant. The stage of her baby’s development meant that she would undergo a D&C abortion, also known as an aspiration abortion. Since she knew what that process would actually entail for the developing baby with a beating heart she had witnessed on the ultrasound screen, the client decided to choose life for her baby. Pinto told Live Action News that this client’s experience is not uncommon. She said, “Clients come thinking they want to have an abortion without knowing the facts about the procedures or the risks.” For many, abortion is “a word in their heads,” and they have never considered what will happen to the developing baby in an abortion. In addition to not understanding the procedure, many women are facing pressure from the baby’s father, their friends, family, or employers to undergo an abortion. As many as 64 percent of post-abortive American women say they “felt pressured by others” to have the abortion, highlighting the vital role that one-on-one counseling should play before an abortion decision. Unfortunately, research shows that 67% of women received no counseling before an abortion, 79% said they were not informed of alternatives, and 80% felt they were not given enough information to make an informed choice. While women who have not had an abortion are often shocked and disturbed by the videos and the violent reality they show, post-abortive women can also feel grief in realizing what happened in past abortions. Though difficult, the experience of grief can be healing and can change a woman’s decision in future pregnancies. A pregnant client who had undergone an abortion came to Her Choice Birmingham thinking that once again abortion was her only option. She viewed the video on the D&C abortion method knowing that that was the method of her previous abortion. Despite having been through the procedure, the client had no knowledge of what occurred until viewing the AbortionProcedure.com video. The experience changed her. Pinto says, “Once she saw what happened to the baby she chose life.” Where she thought she had no choice except abortion, counselors were able to show her clearly what her options actually were. These videos were designed to be teacher aids and are medically accurate, created in consultation with a group of doctors and experts, and have been viewed online nearly 100 million times. The abortion procedure series are medical animations, not graphic footage, and accurately depict the most prevalent abortion procedures in a format suitable for teens. AbortionProcedures.com provides the facts necessary to make an informed choice. It is no coincidence that once abortion is recognized as the violent taking of a defenseless human life, many people change their mind about abortion. Her Choice Birmingham empowers its clients by giving them the information necessary to make a decision for their children’s lives. You can view and share all the abortion videos here.